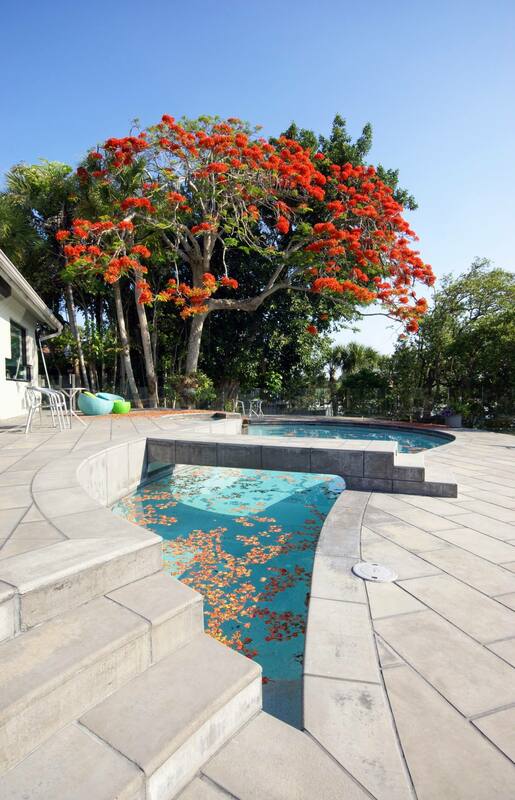 Casey Key Residence - Michael A. Gilkey, Inc. 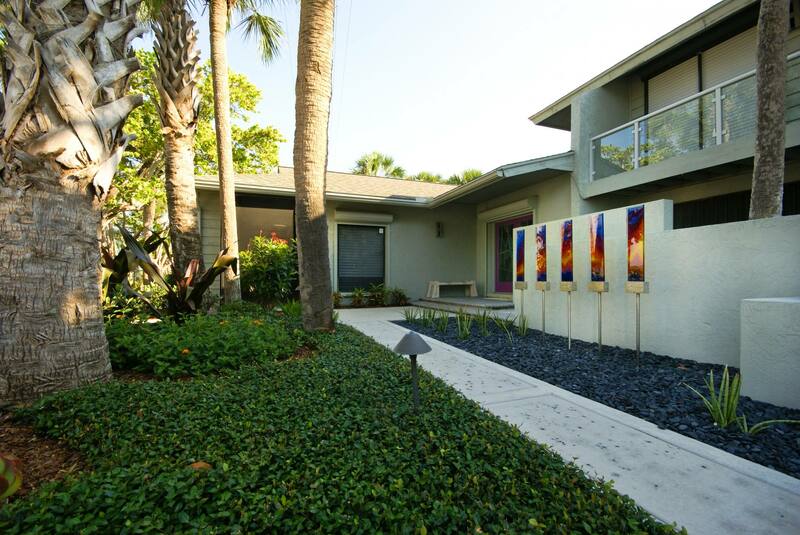 This complete exterior renovation reflects our client’s love of art, of bright color, and of the sunsets framed by this Gulf-to-Bay property. 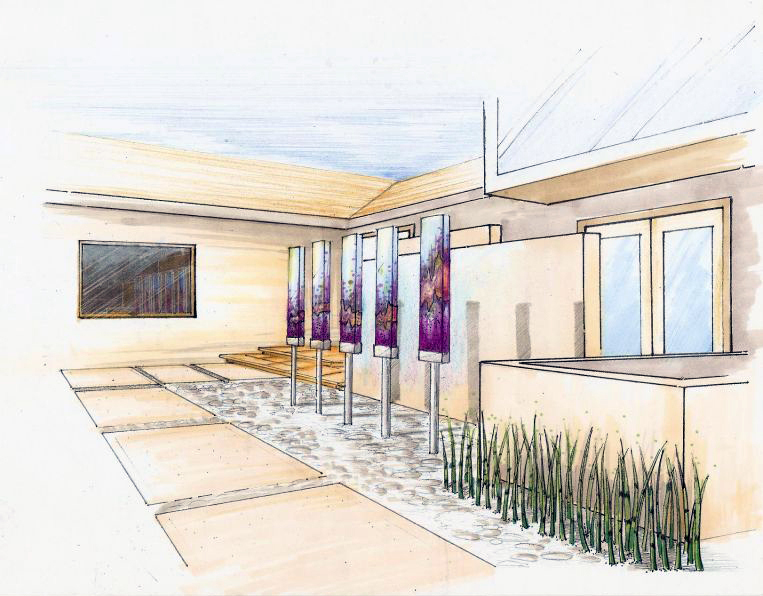 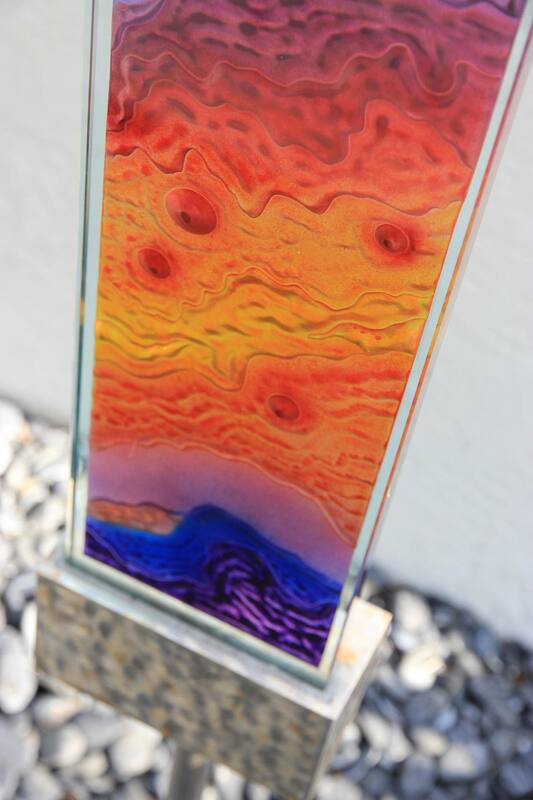 Custom glass work and thoughtful dune enhancement create an entry sequence that is a conversation between nature and human expression. 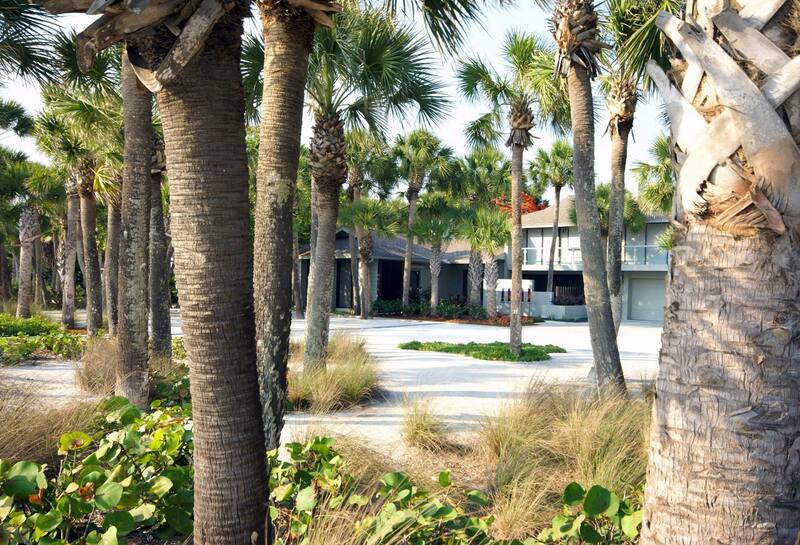 The entry sequence to this beachfront residence includes a drive through a native dune system. 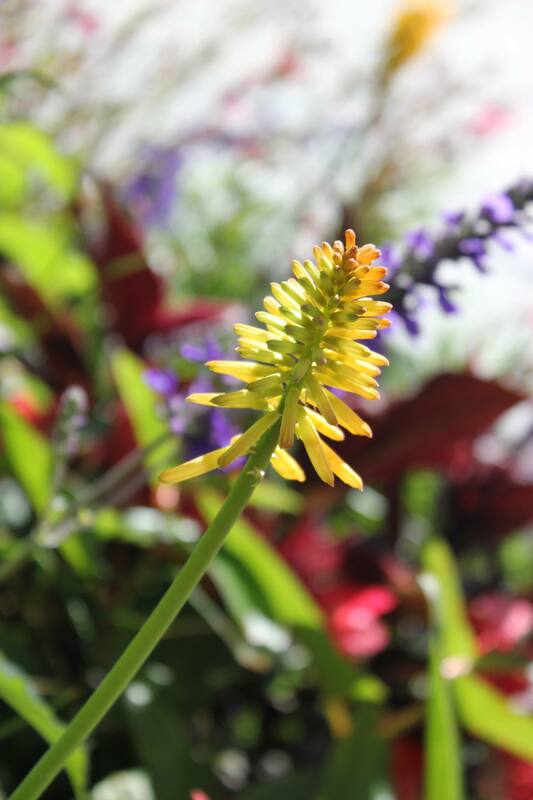 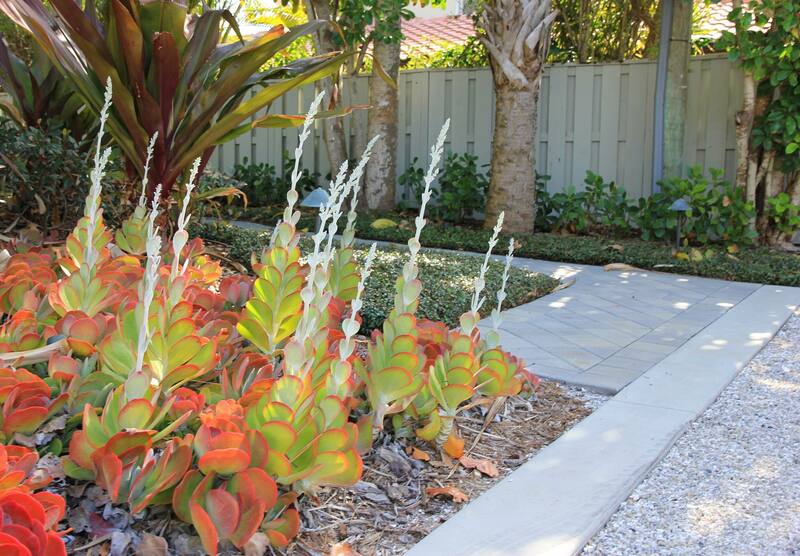 The home features colorful art and sculptural plantings. 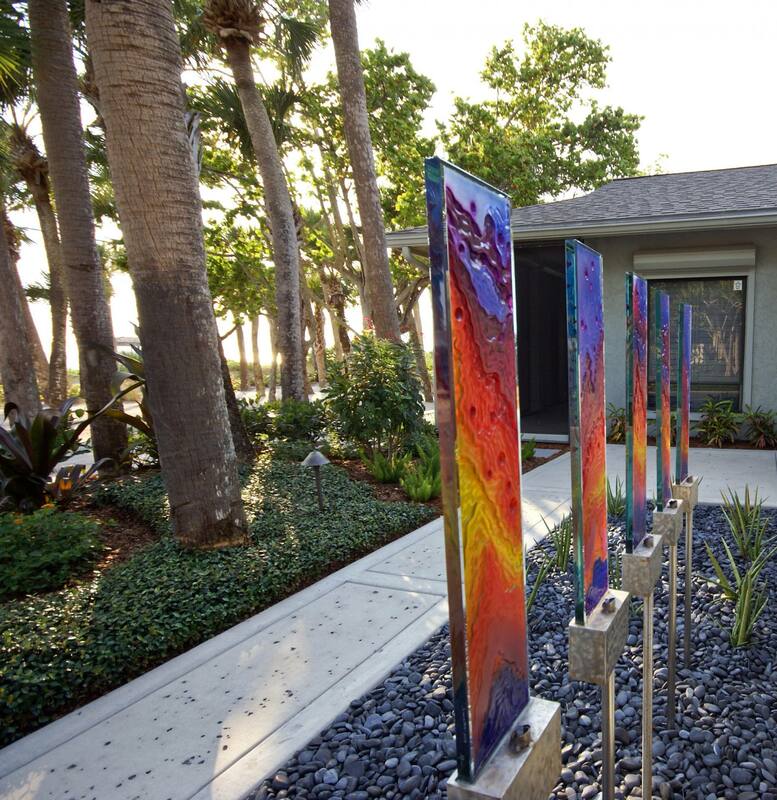 The focal point of the home's entry is a glass and metal interpretation (and reflection) of the sunset, enhanced by fiber optic lighting at night. 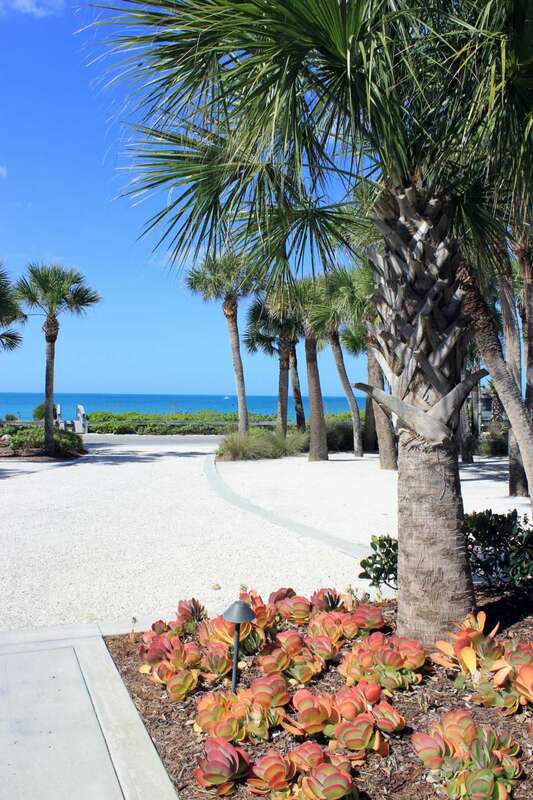 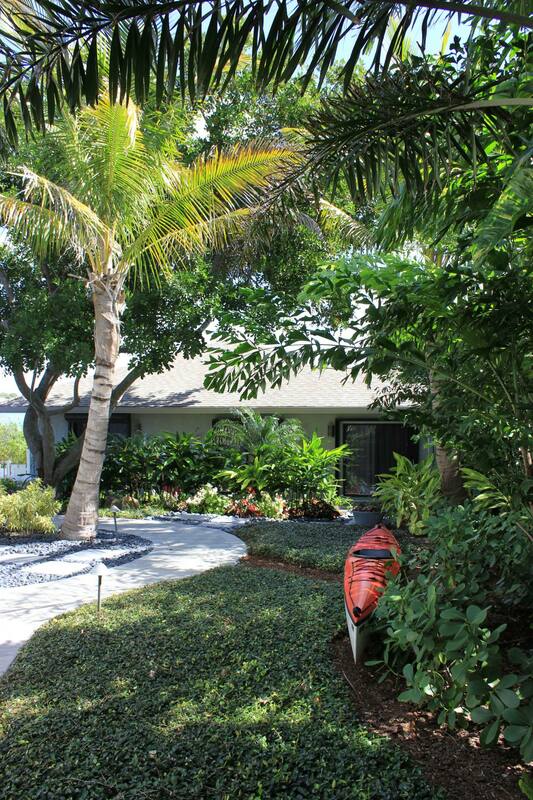 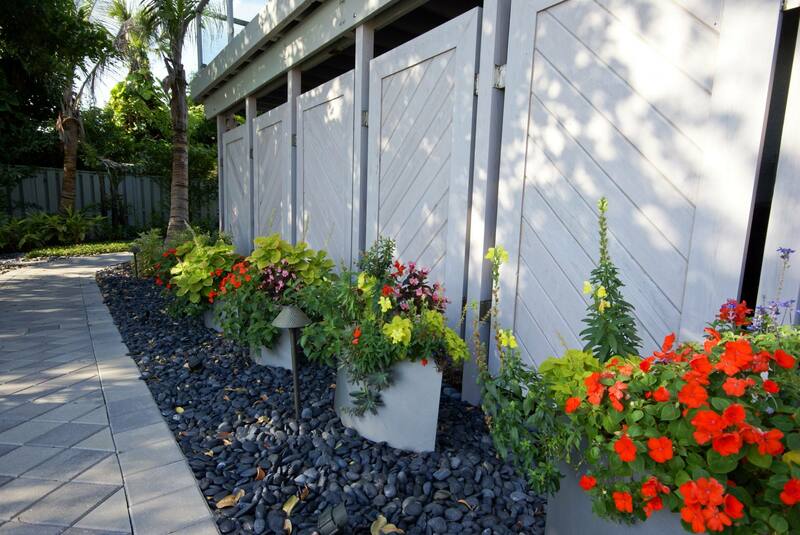 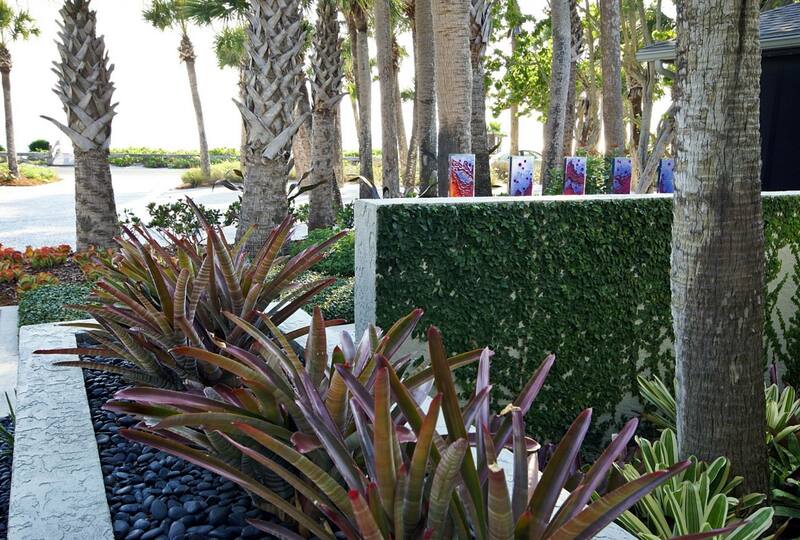 The bayfront back yard is richly planted with a colorful palette, varying textures, and subdued hardscape.